PTSD Marijuana Research and Benefits | Medical Marijuana Inc.
Post-traumatic stress disorder, most common in war veterans, involves uncontrollable anxiety and flashbacks following a traumatic experience. Studies have shown cannabis is effective at lessening the emotional impact of traumatic events and can help patients experience less anxiety and fear and improve their sleep. Post-traumatic stress disorder (PTSD) is a mental condition that develops after experiencing or witnessing a traumatic event. Those suffering from PTSD experience flashbacks, severe anxiety, nightmares, and uncontrollable thoughts about the event, according to Mayo Clinic. They often feel stressed and in danger when no real threat exists. According to the National Institute of Mental Health, other symptoms of PTSD include staying away from places or events that are reminders of the traumatic experience, feeling numbness or guilt, losing interest in former enjoyable activities, being easily startled, feeling tense, having problems sleeping and experiencing angry outbursts. PTSD is prevalent in military veterans, but can develop following any type of traumatic event, such as a mugging, kidnapping, car accident, plane crash, physical attack or natural disaster. Cannabis has been found to help PTSD patients manage their symptoms13. Cannabinoids found in marijuana influence the body’s endocannabinoid system, which plays an essential role in maintaining emotional homeostasis and in regulating memory consolidation, retrieval and extension. Cannabinoids found in cannabis activate the cannabinoid receptors (CB1 and CB2) of the endocannabinoid system, which in turn modulates the release of neurotransmitter and produces a wide range of effects on the central nervous system, including an increase in pleasure and the alternation of memory processes1. The cannabinoids can block fear memory formation, thus helping to regulate the stress response11. These effects help PTSD patients manage the three core symptoms of the condition, which include re-experiencing, avoidance and numbing, and hyperarousal. PTSD patients saw a 75% reduction in PTSD symptoms, as measured by the Clinical Administered Post-traumatic Scale, when they were using cannabis compared to when they were not3. 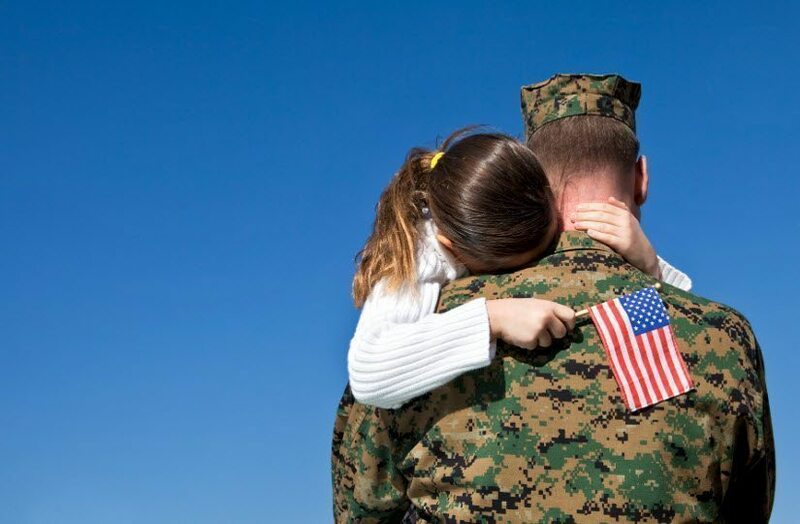 Military veterans use cannabis for coping purposes, especially those whose condition causes difficulties in emotional regulation or stress tolerance11. An improvement in sleep patterns in those who suffering from insomnia or nightmares is another primary motivating factor for cannabis use in PTSD patients1,3,9. The more severe the PTSD symptoms, the more that military veterans desire to use cannabis to cope2,3,4. There’s evidence to suggest, however, that the benefits of cannabis for PTSD patients go beyond temporary. Findings support that cannabis has the potential to dampen the strength and emotional impact of traumatic memories9. Currently, 26 states have approved medical marijuana specifically for the treatment of PTSD. These states include: Arizona, Arkansas, Colorado, Connecticut, Delaware, Florida, Hawaii, Illinois, Louisiana, Maine, Michigan, Minnesota, Montana, Nevada, New Hampshire, New Mexico, North Dakota, Ohio, Oregon, Pennsylvania, Rhode Island, Utah, Vermont, Washington, and West Virginia. In Georgia, patients with PTSD can legally use cannabis oil containing no more than 5 percent THC. A number of other states will consider allowing medical marijuana to be used for the treatment of other conditions, including PTSD, with the recommendation by a physician. These states include: California (any debilitating illness where the medical use of marijuana has been recommended by a physician), and Massachusetts (other conditions as determined in writing by a qualifying patient’s physician). Use and effects of cannabinoids in military veterans with post traumatic stress disorder. Bonn-Miller, M.O., Vujanovic, A.A., and Drescher, K.D. (2011, September). Cannabis use among military veterans after residential treatment for posttraumatic stress disorder. Psychology of Addictive Behavior, 25(3), 485-91. Retrieved from https://msrc.fsu.edu/.